Welcome to Liat's Reading Class!!! This website is designed for Liat's English grade twelve class at Ramla High School Institute. 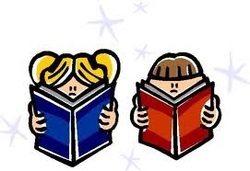 This is a reading site to enhance your reading skills. You will take part in a variety of activities and tasks to improve your reading fluency and comprehension for your learning experience. You will see at the top of the page a toolbar for you to check out tasks, links, take part in discussions, and more. If you have any questions please contact me via e-mail or in class.